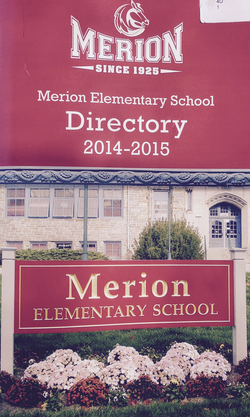 The Merion Directory is an annual publication that is a wonderful resource for parents, teachers and students. It has general school information, calendar of school events, a directory of school staff and teachers including photos, ads from local business who support the directory, and a list of students by class in each grade. At your fingertips you can plan a playdate, school party, answer a question about the school, or find someone to take a family portrait. You can also pay via Paypal below. Please note there is a convenience fee for using Paypal.